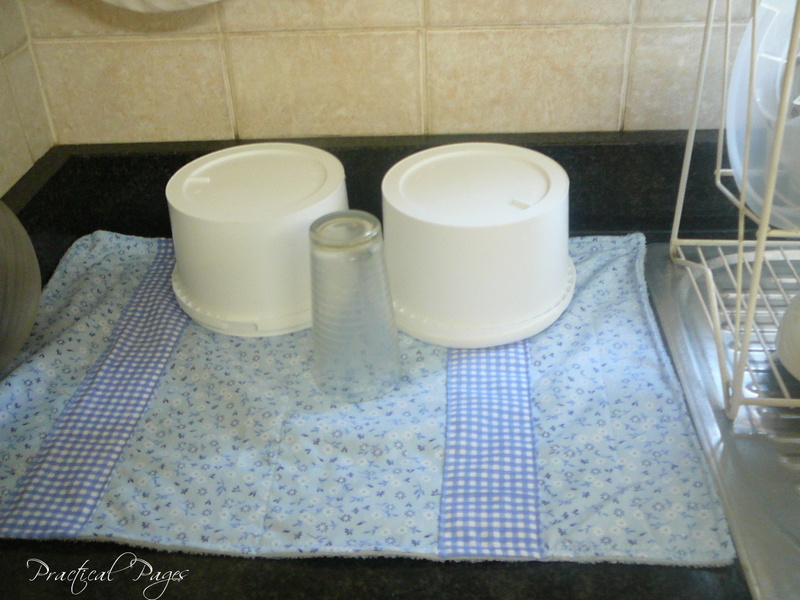 A dish mat is an absorbent cloth used to drain dishes on your sink or counter-top. Cut the towel (if needed) to fit the size of your drain board. Cut the material to fit the towel. Pin the edges of the contrast material strips to the material and sew right-sides together with a 1/4″ seam/ or over-lock (serge). 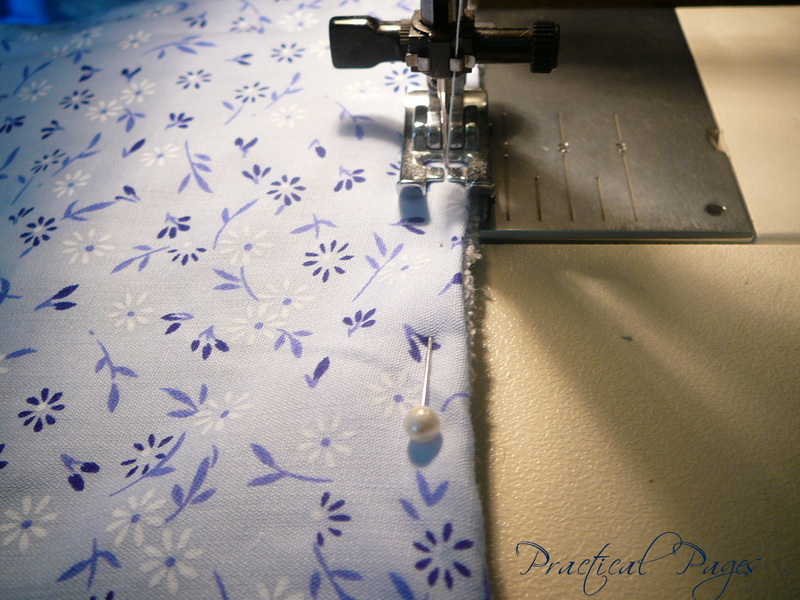 Press seam flat. 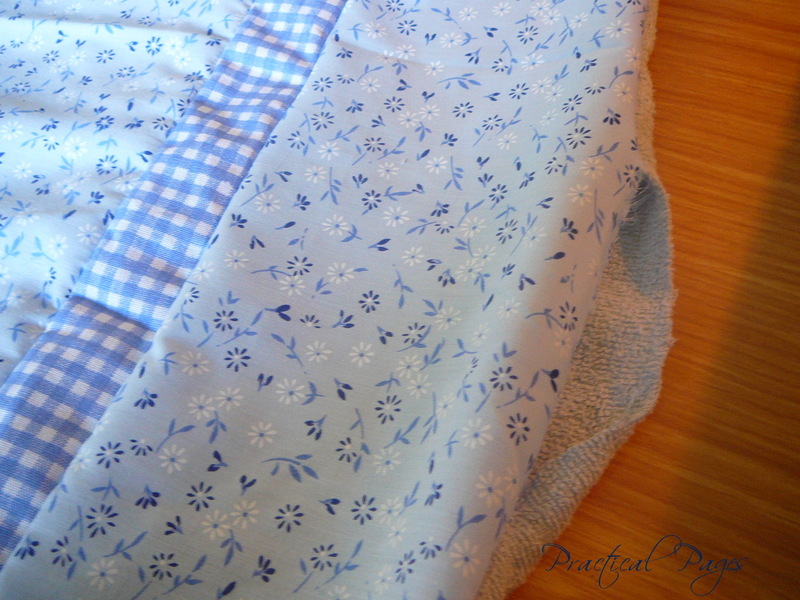 Place the material right-side down on to the towel and sew a 1/4″ seam or over-lock serge) the edges, leaving a gap about the width of a hand open. 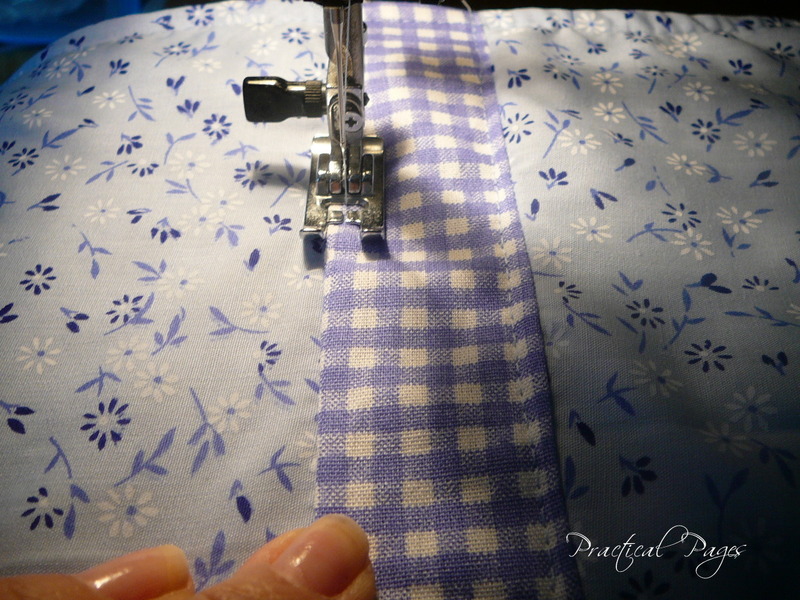 Fold under the opening’s edges and top-stitch closed and top-stitch along all the sides. 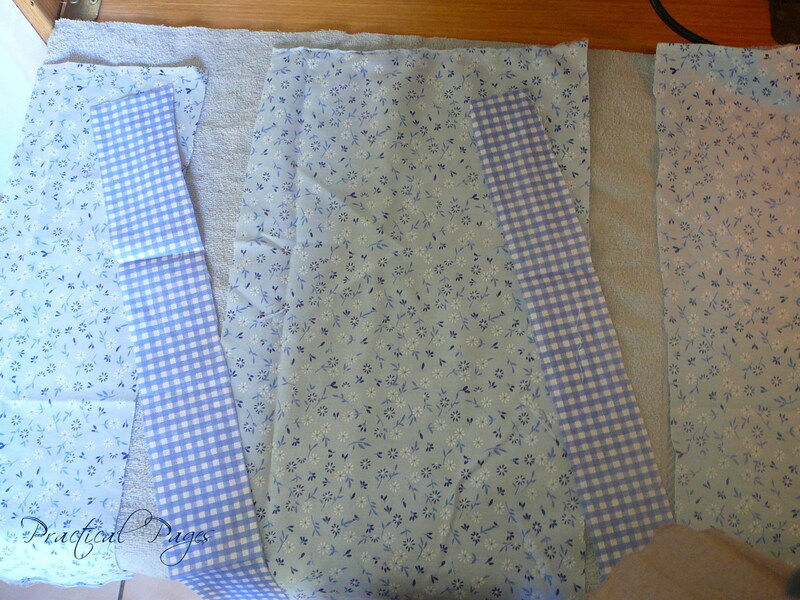 Top-stitch the contrast strips of material to keep the towel & material layers together. If your children are beginner sewers and can safely manage the sewing machine, they will be able to create this dish mat in about 20 minutes to half an hour. My oldest daughter has a sewing machine and loves it! She’ll spend hours sewing scrap pieces of fabric together to make pillows or tiny bags. This looks like a lovely project for her to try (and for me to benefit by using each day!) Thank you! @Carrie, I hope you both enjoy this project! Beautiful Nadene! I need to do this. I get very tired of using my kitchen towels on the counter for drying dishes, and large pots don’t fit well in a dish drainer. Thanks for sharing! Love this idea! Am definitely going to be making a couple of them for our kitchen! Thanks!